Join us for our mon thly make and take! We'll have the ingredients set up in the kitchen and we'll all learn together. This month we will do filled scones. Each registrant is encouraged to bring one guest (adult or youth) to work with you at your workstation. The guest you bring is free and will be at the same workstation with you. If you are going to register a guest, please register yourself then scroll to the bottom of screen and enter 1 in the guest field. This will let us know how many registrants are bringing a plus 1. A materials fee of $5.00 for ingredients is included in registration. Participants, please bring a container for taking home finished scones and an apron (apron is optional). This is not a formal class. 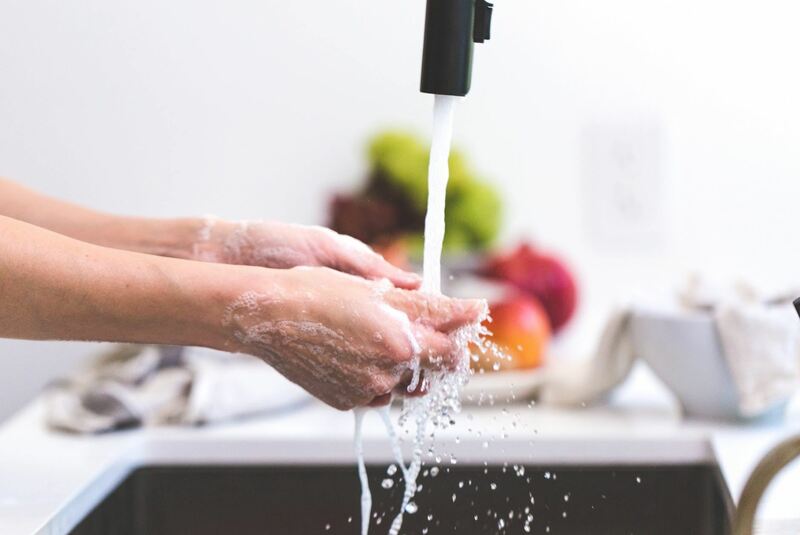 Participants are asked to stay and help with clean up, including dishes, counters, and floors. Calling all dog-lovers! The Kitchen Arts Studio wants to help you let your pooches know how much they mean to you with some home baked treats! This will be a great opportunity to learn some healthy ways to say "good dog" to your buddy. Join us for our first ever, Bake-off For Dogs event. You will work in teams of twos, making different recipes, using natural ingredients that will tempt even the fussiest pups. There is an additional $20 materials fee included in the price of tuition. Each student will go home with samples and recipes for all of the types of treats. 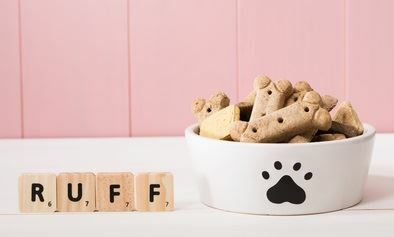 Your furry friend can taste test each and you can bake their favorite at home. Please bring an apron and a small container to take your treats home in. Join Plant-based Personal Chef and owner of Sukhi Kitchen, Nancy Travis, as she shares recipes and shows you how to make creative sushi rolls, rice paper spring rolls and collard wraps with healthful ingredients that you can then make in your own kitchen. Nancy will show you how to prepare ingredients, how to wrap and roll like a pro as well as taste your way through her class! You'll even discover the secrets behind Nancy’s technique to wrap spring rolls tight using a selection of ingredients available in class. 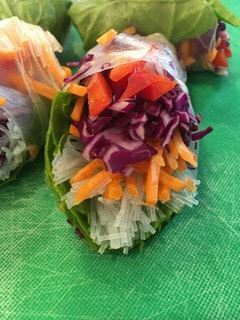 During the class you too will create delectable wraps and rolled sushi with a healthful twist using a variety of only plant-based ingredients. Impress your family and friends with new skills and interesting sauces. Please bring your own containers and even your favorite apron so you can take home your creations at the end. A $15 materials fee is included in the price of class. 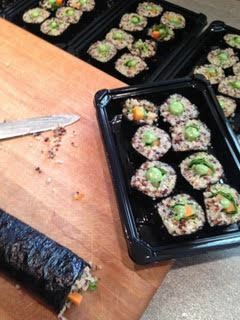 Class is limited to 6 and is hands on with lots of time to practice so you can expect to wrap and roll like a pro! May Monthly Bakealong: Rhubarb Cake! Note: New date of 5/21. Join us for our mon thly make and take. We'll have the ingredients set up in the kitchen and we'll all learn together. This month we'll all meet to bake Rhubarb Cake! Each registrant is encouraged to bring one guest (adult or youth) to work with you at your workstation. The guest you bring is free and will be at the same workstation with you. When you register with bringing a guest, please scroll down the screen and enter the number 1 in the box for “Guest”. There will be a materials fee of $5.00 for ingredients. Participants, please bring a a container for bringing your crackers home and an apron (apron is optional). Do you love biscuits? Served warm with butter and honey? Or slathered with gravy? 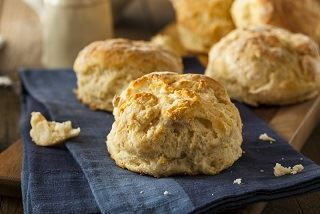 However you like them, this class will teach you how to make delicious biscuits every time. You'll learn the science as well as the art of short dough -- dough with a relatively high fat content and which are not kneaded. We will eat what we make -- bring your appetite, apron and curiosity. Instructor Kate McDill learned to bake at the Surrogate Hostess on Capitol Hill in Seattle. The training included both traditional French pastry and breads, and American comfort goodies. Baking is her craft, and she is happy to share knowledge and the tasty treats warm out of the oven. Join us for a two-day hands-on butchery, and cookery workshop. We’ll spend the first day breaking down sides of local, humanely-raised hogs into primal and subprimal cuts. On the second day, we’ll show you how to transform the various cuts of pork into delicious meals. 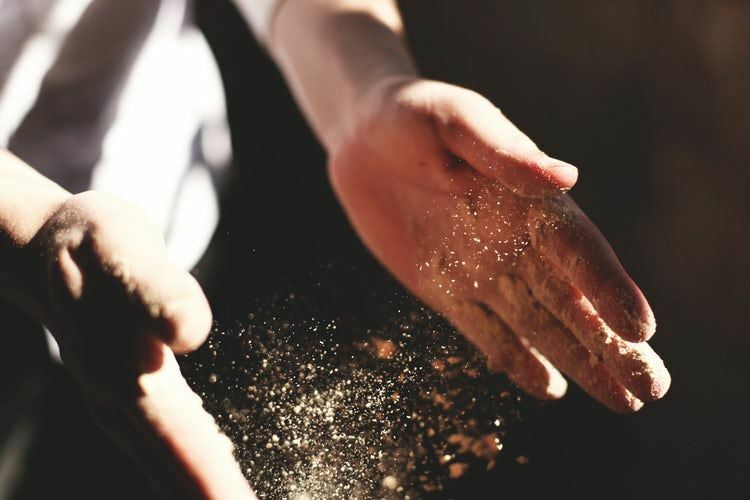 You’ll get an introduction to the craft of pork cookery as we make sausage, paté, and porchetta. We'll also discuss the process of making your own pancetta and ham. You’ll feast on ribs, loin racks, and tenderloins, and still have plenty of meat left to take home. Each student will get hands-on experience and instruction, leaving with the basic skills needed to start experimenting with home butchery. Take-home perks: Students will go home with their share of meat and bones, cooked product that we do not consume in class, plus recipes. Tracy Smaciarz, president of Heritage Meats, is a second generation artisan meat processor and butcher. He is nationally recognized as an expert in whole animal butchery, and has a reputation as a precision meat cutting engineer, a dedicated advocate for small, thriving, independent growers to effectively market their meat products to local restaurants and retail locations and an enthusiastic educator & business consultant of all things meat. Smaciarz’ hearty personality and lifetime of butchering experience uniquely qualifies him like few others in the country to make the grade in meat consumer education, industry outreach and the art of butchering. Smaciarz extended his passion of whole animal butchery to include responsibly bred pork sourced from family farms by introducing a number of Pacific Northwest hog growers’ to Cochon 555. Cochon 555 is a top tier, traveling culinary competition hosted in large cities throughout the country featuring the highest quality pork ingredients and products. Smaciarz has showcased his legendary talents as a featured butcher for Cochon in Seattle, Cochon Heritage Fire in Napa and the Aspen Food and Wine Show. He’s given meat cutting demonstrations for many of Seattle’s top chefs and at farm-to-table dinners showcasing the art of meat cutting to diners in private settings. See Tracy's complete bio here. Tracy will be accompanied by Miles James, who has owned his own meat-centric restaurants, including Dot’s Delicatessen then Dot’s Charcuterie and Bistrot in Fremont, as well as his most recent venture, Dot’s Butcher and Deli, which closed in Pike Place Market last May. Thursday) make and take. We'll have the ingredients set up in the kitchen and we'll all learn together.